A brilliant unbeaten hundred from Joe Root helped England stay awake in seven match ODI series by beating Sri Lanka by 5 wickets in 5th ODI. The series is very much alive & England had made a surprising come back in series, which hardly anyone expected from them. As he did in Hambantota, Joe Root has again played an important role in England’s win over Sri Lanka in Pallekele. 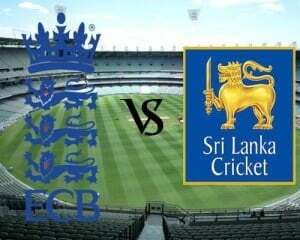 On 10th December morning, England won the toss & asked Sri Lanka to bat on wicket that looks like spinner friendly & weather was cloudy too. England surely was having lot of question for World Cup in their mind & it was there time to answer those questions with a win in fifth ODI. There were questions raised whether this 07 ODI series will do any good to England in terms of World Cup preparation that is held next year in Australia-New Zealand? However, as they say it is always better to play Cricket than No Cricket. Before the start of this series, England & Sri Lanka both had bad time in ODI series against India. Where in, Sri Lanka has to fill the gap of West Indies tour to India in a short notice period, England on other hand was filled with criticism of weakness against Spin. While England skipper Cook is still searching for a significant knock, players like Moeen Ali, James Taylor & Joe Root has shown great character throughout the season. Kushal’s inconsistency has been exposed largely to lankan & with Tharanga not in squad for New Zealand tour, it will be a question for Lanka whether to continue with Kusal or try the new opener for World Cup. England managed to surpass brilliance of Sangakkara who scored gutsy 91 for Sri Lanka after their shaky beginning but it was Chris Woakes who held England high during first Inning by grabbing 6 wicket in 8 over’s that he bowl. Sri Lanka only manages to pass 238 runs & got all out for 239 in end of 48th Over, before rain-washed up day one of game. Thanks to the reserve game, England started there inning on next day with same target of 240 runs to score in 50 Over. England run chase was lead by two young lad James Taylor & Joe Root, both were fantastic with their running between wickets & shot selection. James Taylor & Joe Root came together when England was on 35, after Sennanayake got two quick wickets for Lankan. Partnership between Taylor & Root was 1044 off 125 balls continuing there form of fourth game where they made 93 runs together. England seems to be getting back in form & this young middle order is not skeptical to spin, The series is wide open now & it will give England a fair chance before world cup to buckle up & perform. There is a real excitement among the group about what’s going to happen over the next three months. I know we’ve lost three games, and can’t hide from the fact we’re still down in the series, but I think we’ve made some really good strides in these conditions. When we get to the tri-series, we have to adjust to those conditions and keep working, then we have another month before the World Cup. This was England’s 30th victory over Sri Lanka in ODIs but only 6th in Sri Lanka out of 19 ODIs. Before this tour they had only 4 wins in Sri Lanka. This was 5th occasion for Sangakkara to fall in nervous 90s in ODIs. Woakes figures of 6/47 are 2nd best figures vs Sri Lanka by a touring team. Best remains 6/31 by Mitchell Johnson, also at Pallekele in 2011. *Woakes figures of 6/47 are best by a English bowler vs Sri Lanka. Previous best were 5/29 by Jordan at Manchester 2014. Previous best by an English bowler in Sri Lanka were by Graeme Swann who took 4/34 at Dambulla in 2007. Chris Woakes also became 8th bowler to bag 6 wkts in an ODI twice in career. Before this he had 6/45 vs Australia at Brisbane in 2011 which are his career best figures too. The others to have 6 wkt hauls twice in ODIs are, Vaas, Afridi, Olonga, Nehra, Ajantha, Bond & Waqar. Waqar has actually done it 5 times. Joe Roots 104* was England’s 119th hundred in ODIs but only the 9th vs Sri Lanka in 61 ODIs they have played with them in 32 years. 3 of these 9 have come this year only. Buttler Scored 121 at Lords this year & Moeen 119 at Colombo in this series only. Before this tour none of the Englishmen had scored a hundred in Sri Lanka. Now they have 2 hundreds. Previous highest score by English batsmen in Sri Lanka was by Trott who had scored 86 at Colombo in 2011. Now it has been surpassed thrice in this series. 119 by Moeen, 104* by Root and 90 by J Taylor. Joe Root’s hundred is first by an England batsmen vs Sri Lanka batting at no 4. Previous best score at no 4 was by Graeme Hick who scored 86 at Lords in 1998. The best in Sri Lanka at 4 was by Kevin Pietersen who scored an unbeaten 63* at Colombo in 2007. With 90 runs in this series, Cook now is the leading scorer for England vs Sri Lanka. He now has 776 runs against them in 21 games taking over from Trescothick who had 697 in 17 ODIs. For Sri Lanka, Sangakkara now is the leading scorer at home vs England. At the end of 5th ODI he has 467 runs. For England Ravi Bopara has most runs in Sri Lanka now. He has 254 in 11 ODIs. 12 wickets by Woakes in this series are highest for England in a series vs Sri Lanka equaling Sidebottom who had 12 too in 2007.